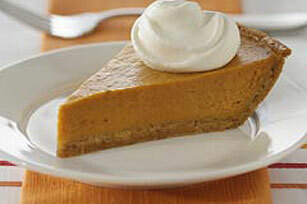 Since this weekend is Halloween I wanted to share one of my favorite pumpkin pie recipes. One of the reasons I like this recipe so well is because you use graham cracker pie crust instead of regular crust; I’m not a huge crust fan so that’s just fine with me! You can make them at home and bring ’em with you while camping. Or if you’re staying in a rental make them there and bake in the oven. And it does make two pies so freeze one … they freeze really well and taste great after thawing. My husband can attest to this. Brush crusts lightly with some of the egg. Bake 4 min. Meanwhile, mix remaining eggs with all remaining ingredients until well blended. Bake 15 minutes. Reduce oven temperature to 350°F and then bake an extra 40 to 50 minutes or until knife inserted in centers comes out clean. Cool completely. Must come to an end. Sigh. Sadly, this weekend, October 29 & 30, is the last of our seven HalloWeekends. Which also means that we’ll be closing for the season after this weekend. We’ve had a wonderful Halloween season and hope you had a blast if you stayed with us! So even though they’re almost over for 2010 you can make reservations and start counting the days until they start in 2011! We still have plenty to look forward to. We’ll be starting construction on the Santa Claus Land of Lights as soon as our Halloween decorations are put away. And of course there’s also the Santa Claus Christmas Celebration, which starts the 1st weekend in December. I’ll be posting more about those events in the coming weeks! One of my favorite appetizers is cooking today for Rudy’s Recipe. I love these little guys! Bake potatoes on the middle rack until fork tender, about 1 hour. Remove from oven and let sit until cool enough to handle. Bake 4 strips of bacon on a small sheet pan in the oven for 15 minutes. Crumble bacon when it’s cooled. Cut potatoes in half, lengthwise, and spoon out the flesh, leaving a half inch shell. Melt the butter in saucepan and add minced garlic. Brush potatoes with the butter and garlic mixture. Flip over and butter the bottoms. Divide the cheese, barbecue sauce and pulled pork among the potatoes. Top potato skins with sour cream, crumbled bacon and chives for garnish. – Recipe courtesy of The Food Network. Fun site decorating and costume contest photos from this past weekend! Rudy’s Recipe this week is great for vegetarians … a veggie grilled sandwich. Heat your grill for high heat. Brush vegetables with olive oil on each side. Brush grate with oil. Place bell peppers and zucchini closest to the middle of the grill, and set onion and squash pieces around them. Cook for about 3 minutes, turn, and cook for another 3 minutes. Peppers may take a little longer. Remove the veggies from the grill and set them aside. Spread some of the mayonnaise mixture on the cut sides of the bread, and sprinkle each one with feta cheese. Place on the grill cheese side up, and cover with a lid for 2 to 3 minutes. This will warm the bread, and slightly melt the cheese. Watch carefully so that the bottoms don’t burn. Remove from grill, and layer with the vegetables. Enjoy as open faced grilled sandwiches. A roll of carpet that is! Carpet and laminate flooring are being installed in the new office. Below are a view snapshots. The front counter in the lobby is taking shape as well! While I was browsing some of my favorite grilling sites I came across this great post from The Food Network. It’s a hot dog calendar. Now, I don’t know about you, but I love grilled hot dogs. And this post details 30 different types of hot dogs!! Serve grilled hot dogs on hoagie rolls with cheese sauce, sautéed peppers and onions, and a dash of hot sauce. Sprinkle jerk seasoning on chicken dogs; grill. Serve on grilled buns with lettuce, jalapeños and a mix of equal parts mango chutney, mayonnaise and jerk sauce. I may have shorted out my keyboard by drooling on it! 🙂 Click here for the full calendar and recipes. – Recipes, photos and information courtesy of The Food Network. How do you stay with us at Lake Rudolph? When you visit us here at Lake Rudolph Campground & RV Resort how do you stay … do you tent camp? Or bring your own RV? Take our quick poll below! Microwave potatoes on High 5 to 8 minutes, until tender but still firm. Cool slightly, and cube. Place cubed potatoes on a large piece of foil. Top with green onions. Dot with butter, and season with salt and pepper. Tightly seal foil around the potatoes. Cook on the prepared grill 20 to 30 minutes, until tender.